The camera moves through two bookshelves in the library, coming toward a male student studying at a table. A silhouetted man and woman stand talking in front of a large screen showing a diagram. A male professor wearing a suit lectures to a classroom full of students sitting at wooden tables in a tiered lecture hall. Three students sit on the floor in front of a wall of windows and are joined by a fourth student. An Indiana University Bloomington education transforms you. Whether you’re an undergraduate or graduate student, whether you’re from South Bend, San Antonio, or Shanghai, you’ll encounter ideas and have experiences that help you refine your goals, develop the skills to reach them, and put you on the path to success. Your transformation begins with our wide-ranging degrees. Ashley speaks: I chose IU for a variety of reasons. Ashley speaks: First, I kind of fell in love with the idea of coming to a school that has so many opportunities. Ashley speaks: As a first generation college student, you know, it’s at first intimidating to just move away from home. You know, I was really sold on that promise of, you know, becoming part of the hoosier family. As a whole, my first year I was challenged to really step outside of my comfort zone, be away from my family and, you know, create a new family here through different student organizations or different involvements that created a family for me here. So, that support system helped me through those difficult times. So, all of my involvements I’ve focused around really building community and supporting first-generation and minority and incoming students through several offices on campus. So, during my first few years I was involved with the Office of First Year Experience Programs, first, as a new student orientation leader where I had the opportunity to welcome new students and help them find their place here and find their community. And then, as a student coordinator, I had the opportunity to really develop the program and develop a group of new student leaders to do just that and continue, continue welcoming students. Since my freshman year I would definitely say I’ve grown in a lot of ways to really help me be successful in my career. I think really embracing the opportunities that I did have these past four years have helped me become just an overall better leader that will help me in my personal life, my professional life and just throughout my life. At IU, we encourage you to break down barriers. 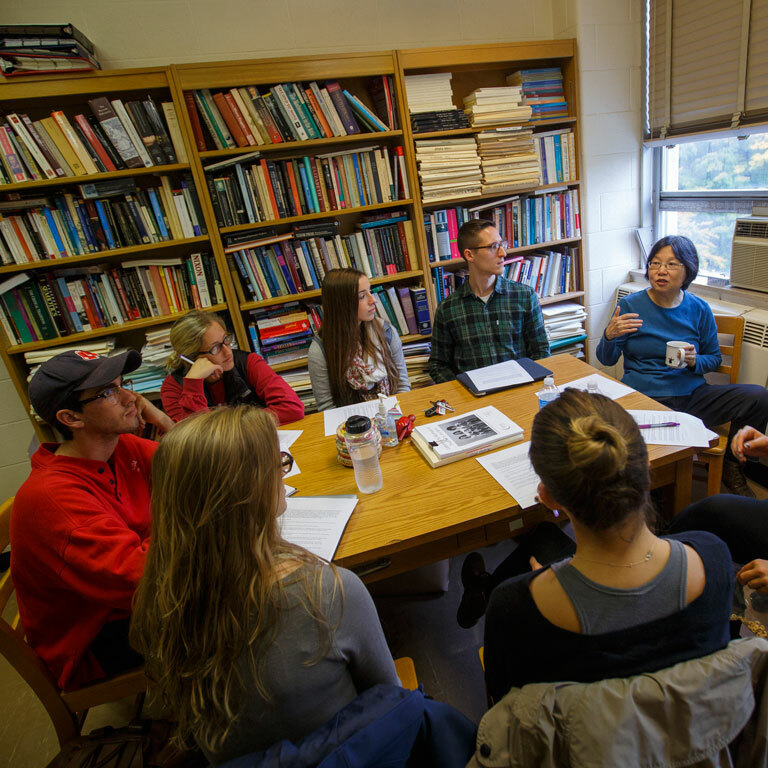 Study and work with faculty across disciplines. Find a challenge so inspiring and daunting that you’re compelled to attack it from every angle. And take advantage of every experience that will help propel you to a successful career. You’ll do all of it in a lively, international community of expert faculty and students who, like you, want to achieve great things—and want to help those around them do the same. Our commitment to preparing you for success includes your courses, but also a lot more. Here, academic opportunities (such as research experiences) combine with outside-of-class ones (like 750+ student organizations) to help you broaden your horizons, grow as a leader, and prepare for what’s next.